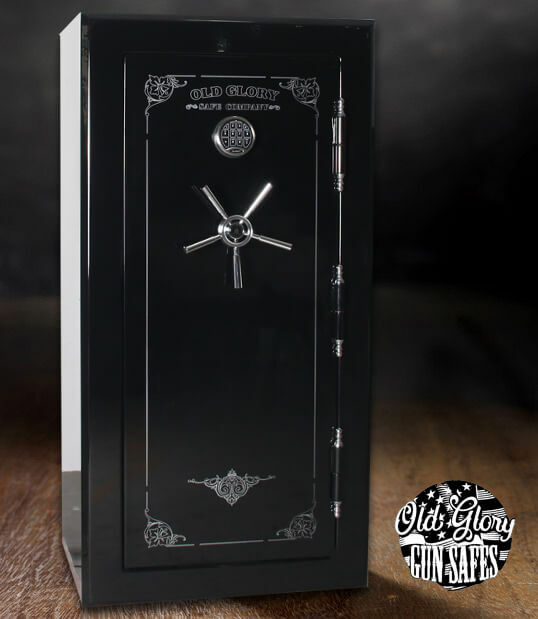 Old Glory Gun Safe Company offers you gun safes that are every inch as beautiful as they are strong—and the photos in this gallery prove it. 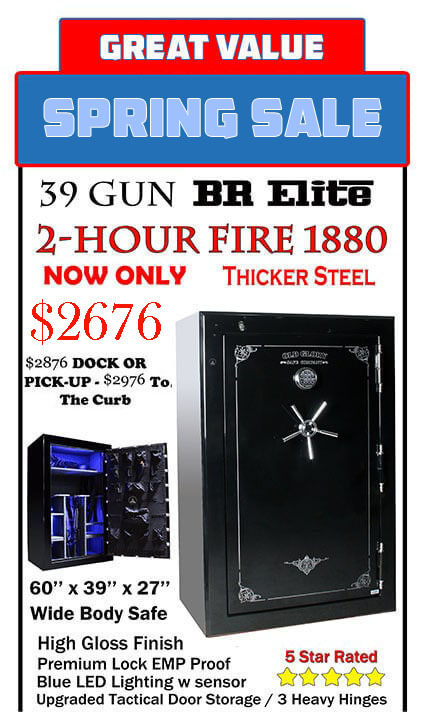 Please scroll down for a look at some of our feature-rich gun safes and gun vaults on sale right now, you might take special note of our New 2019 Battle Ready "BR" Elite and Super-Duty "SD" Pro Series gun safes they’re what gun owners and collectors all across the U.S.A. are talking about. Give us a call at (877) 411-3600 today! 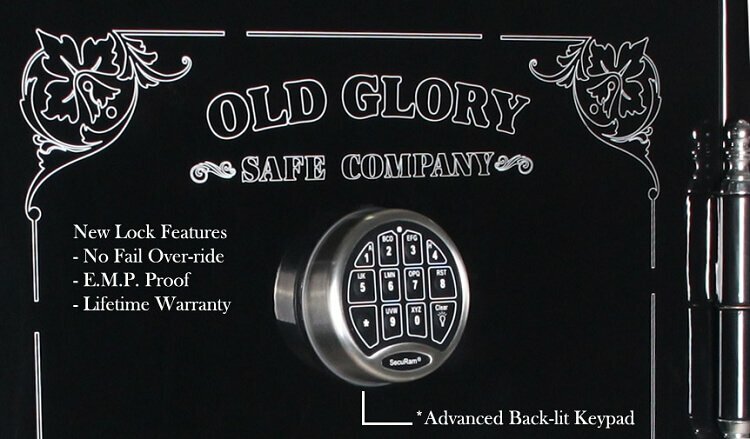 We are 5 Star reviewed all over, type our company name "Old Glory Safe Company" into a search engine and you can see for yourself! 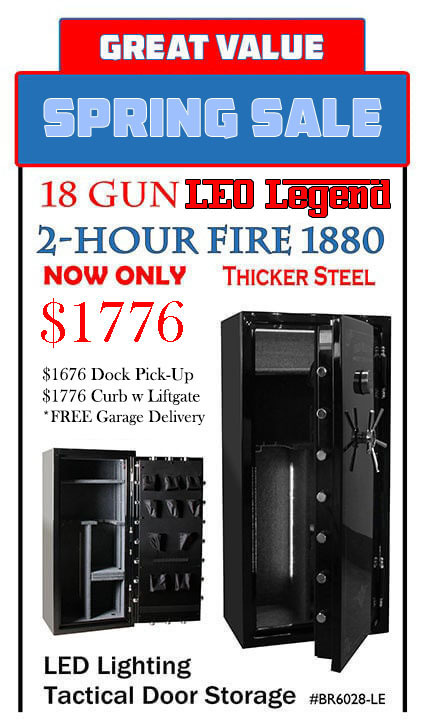 If you have a minute watch our new commercial at the bottom of the page "More than just the guns." Plenty of room. 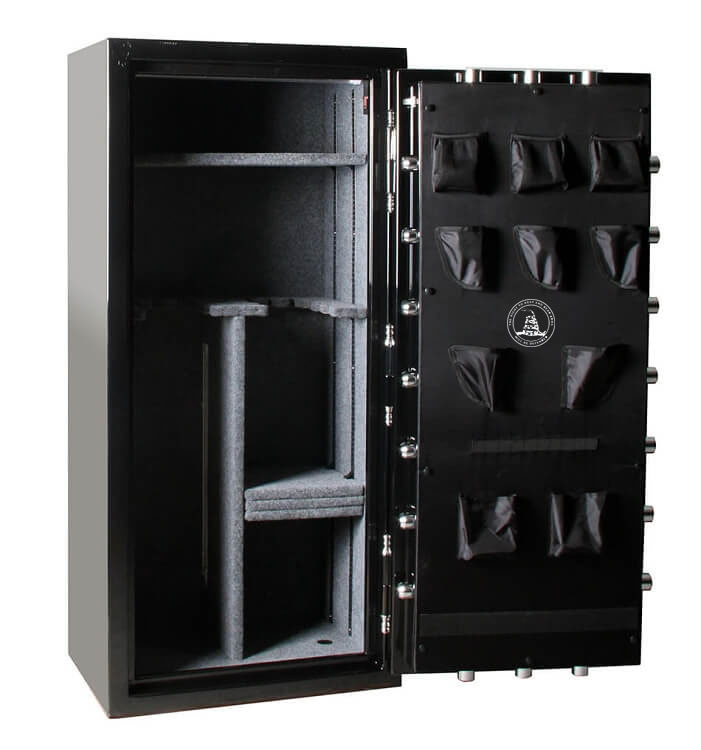 This is our flagship 2019 BR6030 tactical gun safe. 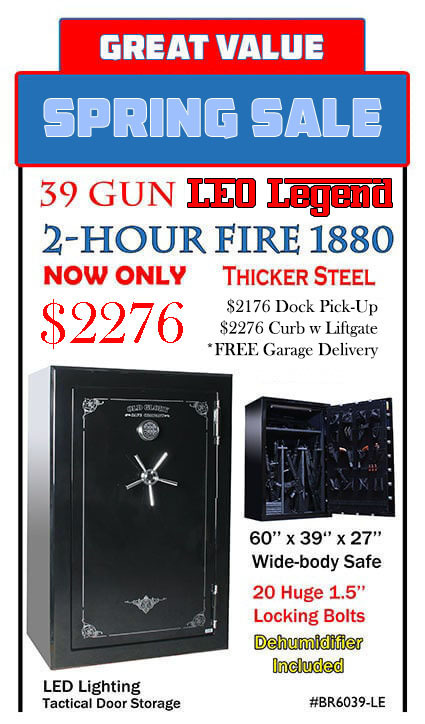 New 2019 SD Pro Series Gun Safe, the value of this safe is in it's top of the line quality and construction. Superb construction. 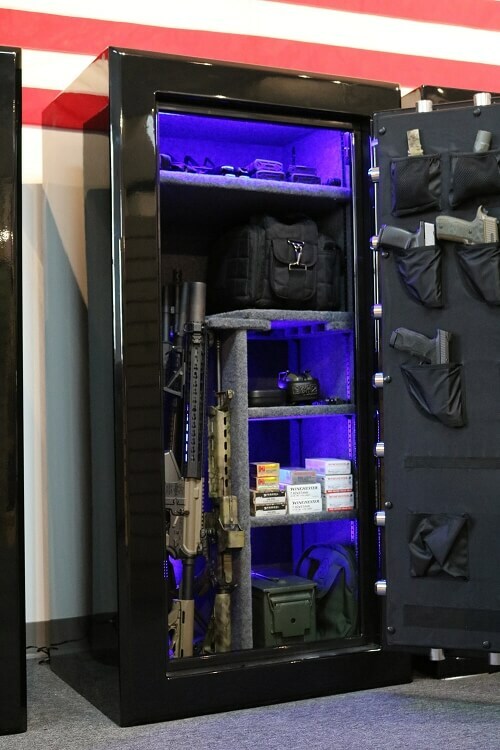 Another view of our improved 2019 "Battle Ready" Super-Duty tactical gun safe. Functional interiors. 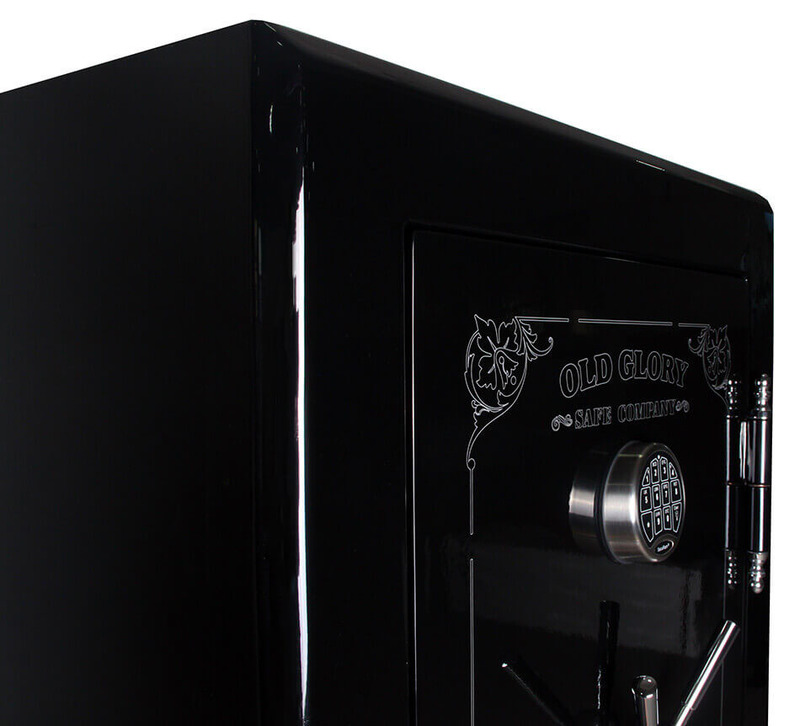 The Quick-Shot Tactical Gun Safe Door-Storage System is an Old Glory favorite. Solid grip. 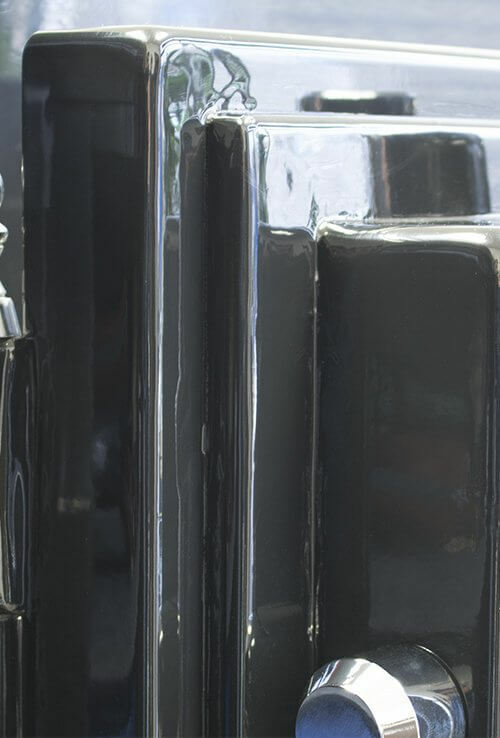 Smooth-spinning handle found on this Chicago-located BR Series gun safe features the Gadsden Flag (with Eastern Rattlesnake embellishment). Locks out others, never you. 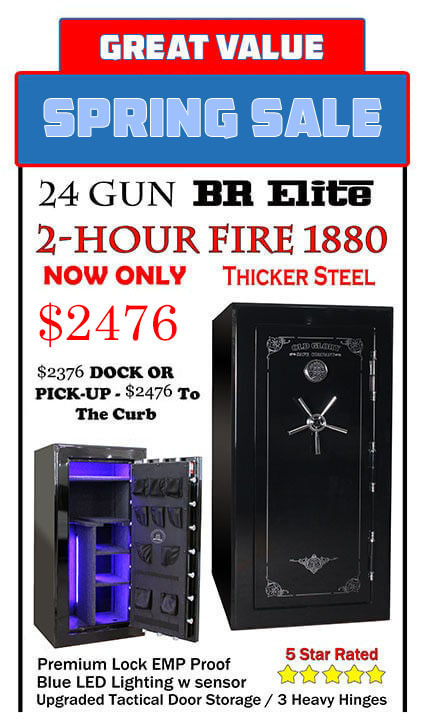 Our BR Series gun safes come with a standard backlit digital lock, which features a hidden manual override. See the light. 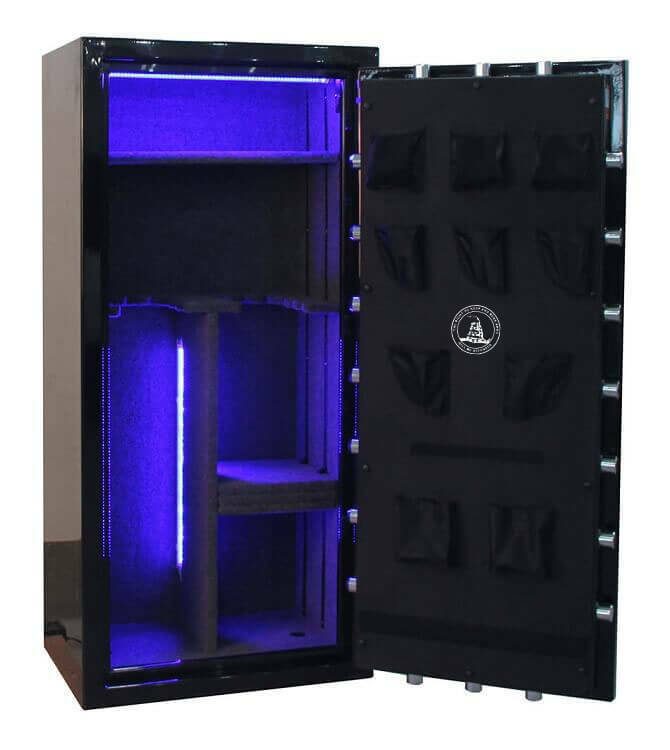 This Old Glory gun safe installed in New York City features blue tactical LED lighting. A place for everything. 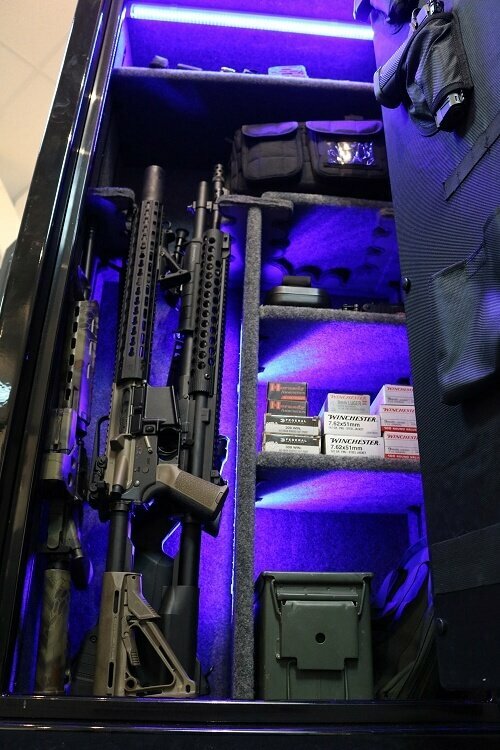 As you can see, tactical lighting and door storage make for convenient, easily accessible housing of your guns, ammo, magazines, eye/ear protectors and more. Stand-up job. 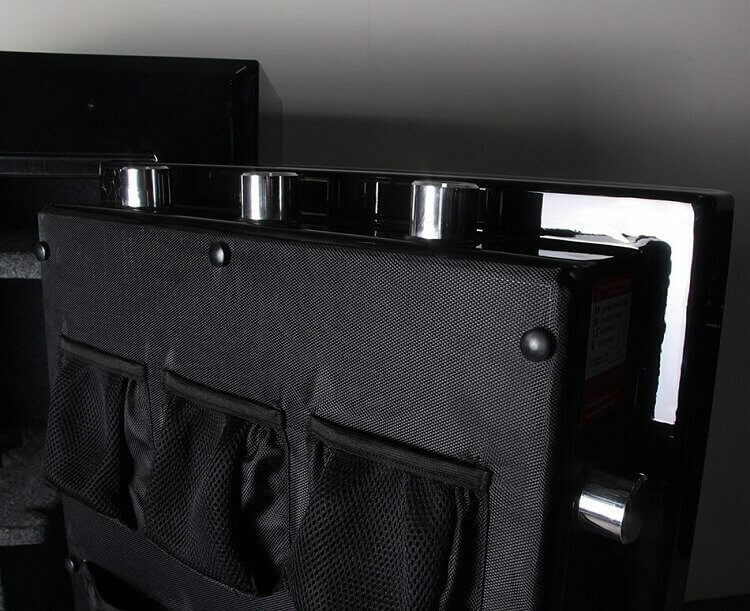 Those long guns in this photo aren’t freely leaning against the safe’s interior, they’re held securely in place—one of the many useful features of our BR Series tactical gun safes designed specifically for long guns. Performance that’s out of this world. 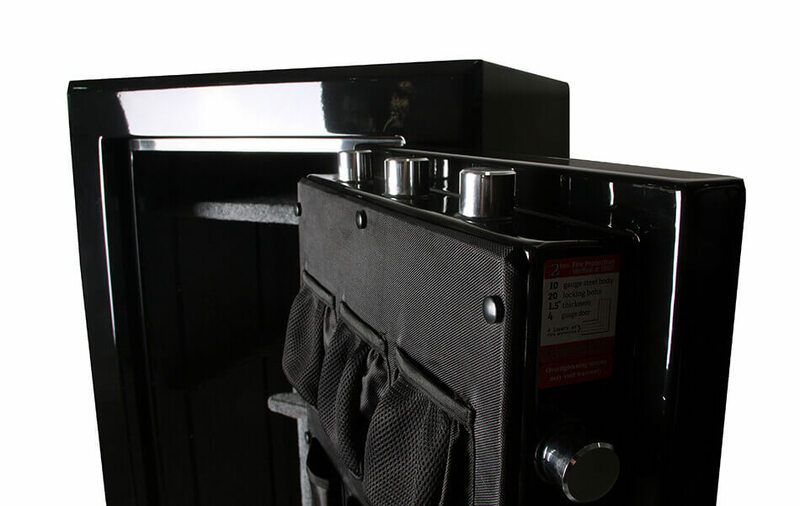 NASA inspired the fire gaskets employed in the solid-plate steel of this Old Glory gun safe, outfitted with extra thick 1.5-inch, 4-way locking bolts. Locked tight, locked right. 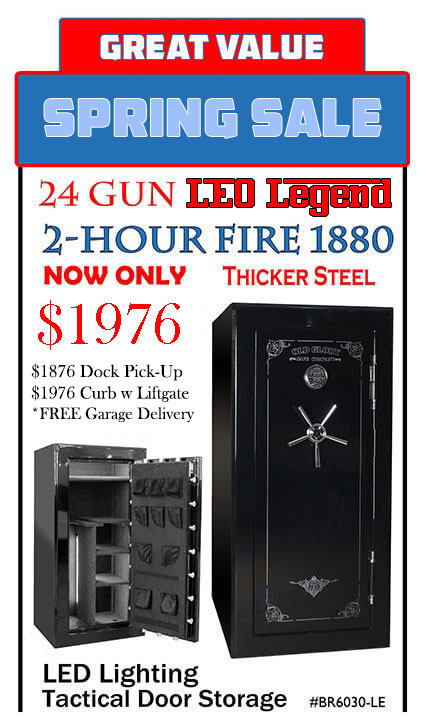 Old Glory Gun Safe Company makes gun safes renowned for their locking bolt systems. 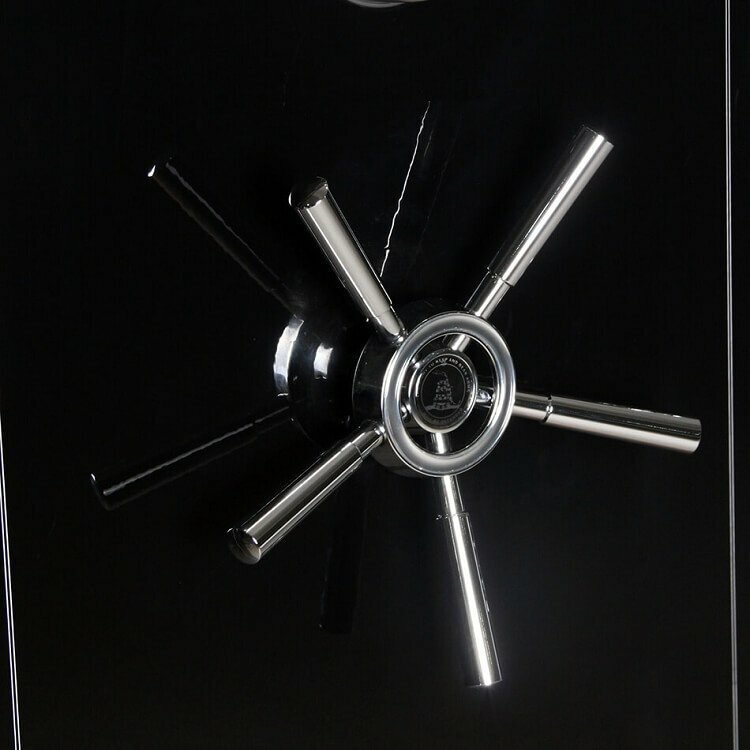 This safe, located in Tampa, Florida, is equipped with one of our (20)ct 4-way locking bolt systems. Genuine value. 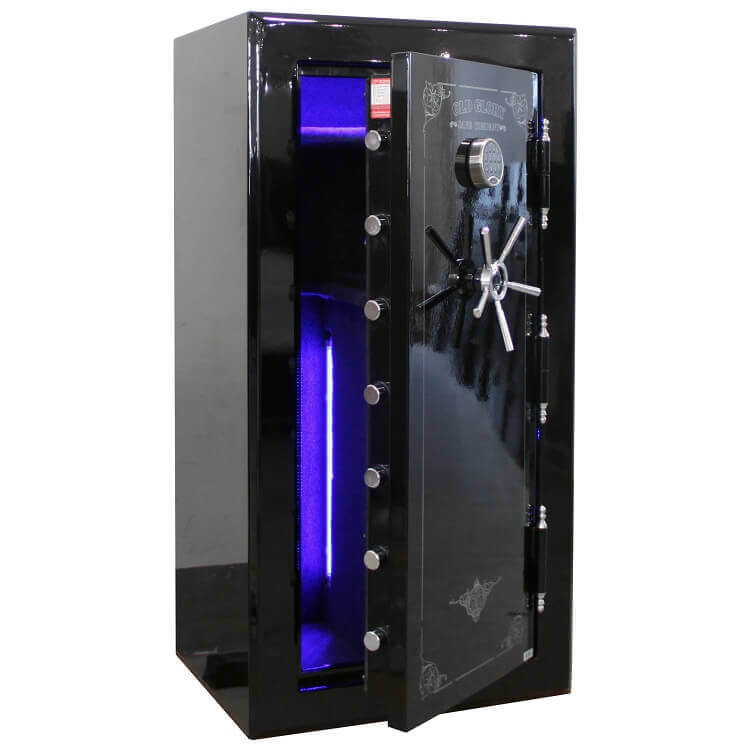 Like the one seen here, our new 2019 "Battle Ready" BR & SD Series gun safes comes with many upgrades not found on safes selling for twice the price. Versatility plus. 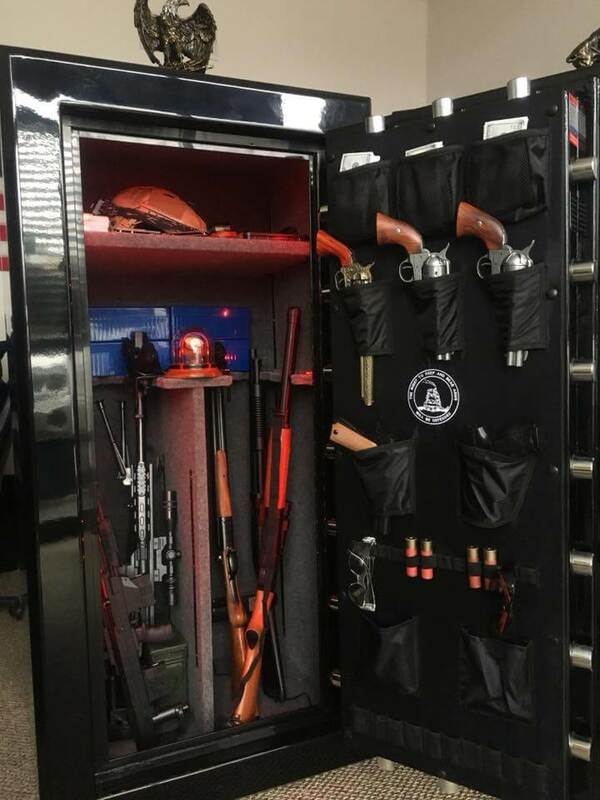 From Denver, Colorado, comes this photo of an Old Glory Gun Safe Company gun safe installed with our easy-out 4-in-1 interior, which is great for conveniently storing guns, ammo, paper files, etc. Big star in the Lone Star. 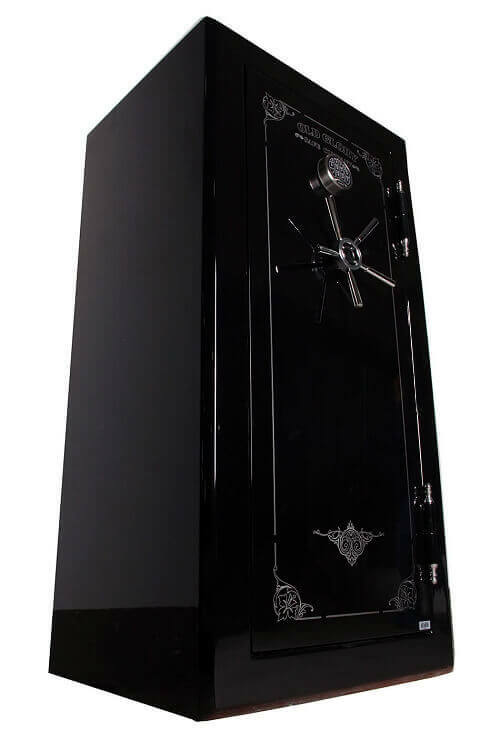 Our SD6030 tactical gun safe is popular with gun owners and collectors everywhere, including Houston, Texas, where this particular Old Glory Gun Safe Company unit is installed. Truly formidable. 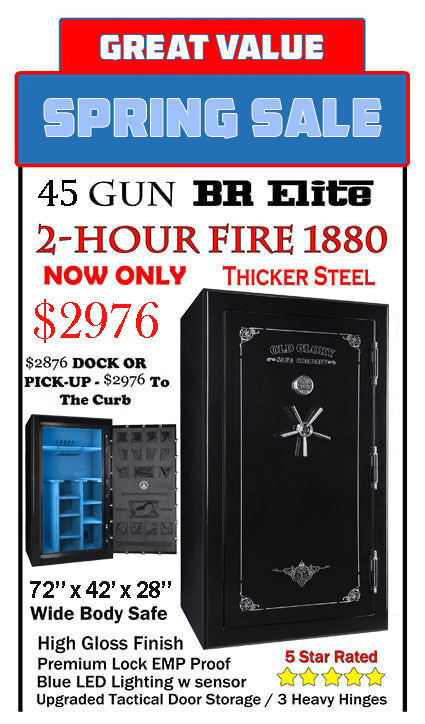 Would-be gun thieves will curse you with foul language you never even knew existed when they come face-to-face with your Old Glory Gun Safe Company BR6030 tactical gun safe, like the one shown here. Precision boltwork. 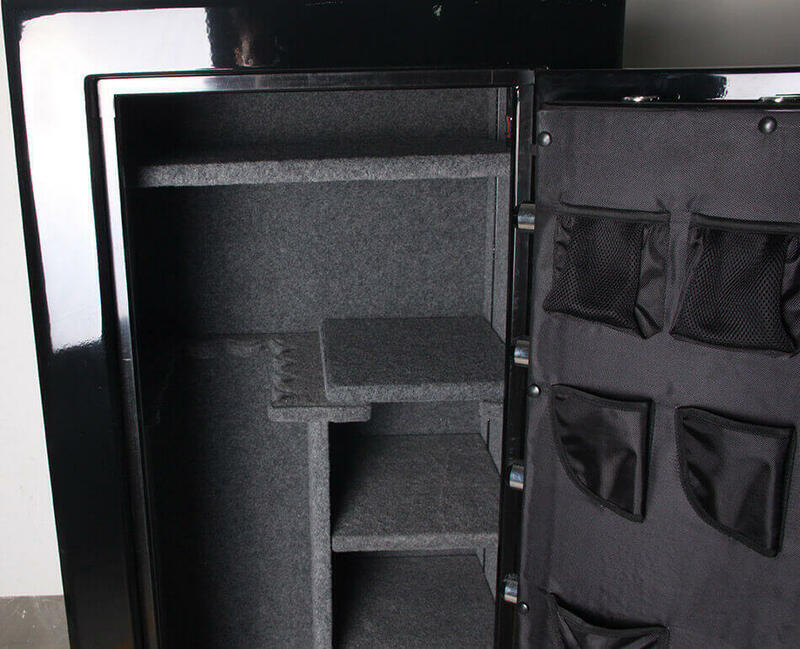 Most other brands of gun safe are vulnerable along the inside of the door. 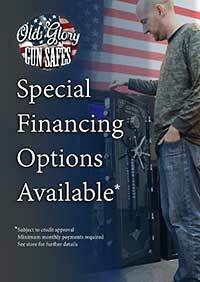 Not so with the gun safes available from Old Glory Gun Safe Company. 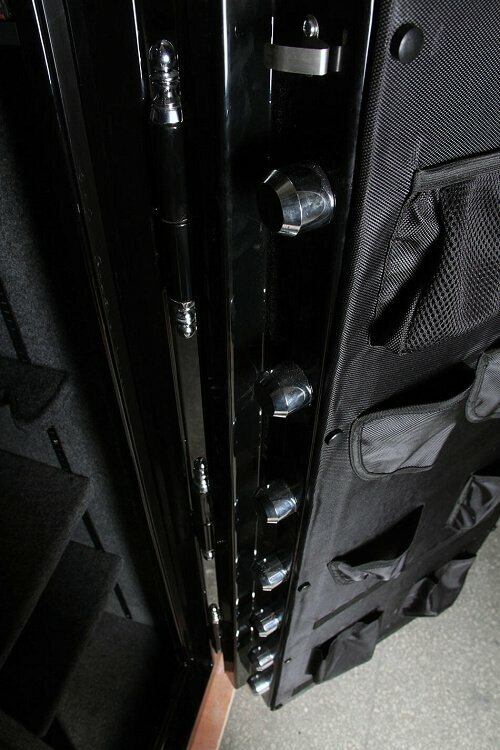 Ours feature locking bolts up and down the inside of the door for maximum protection. Blue-light special. 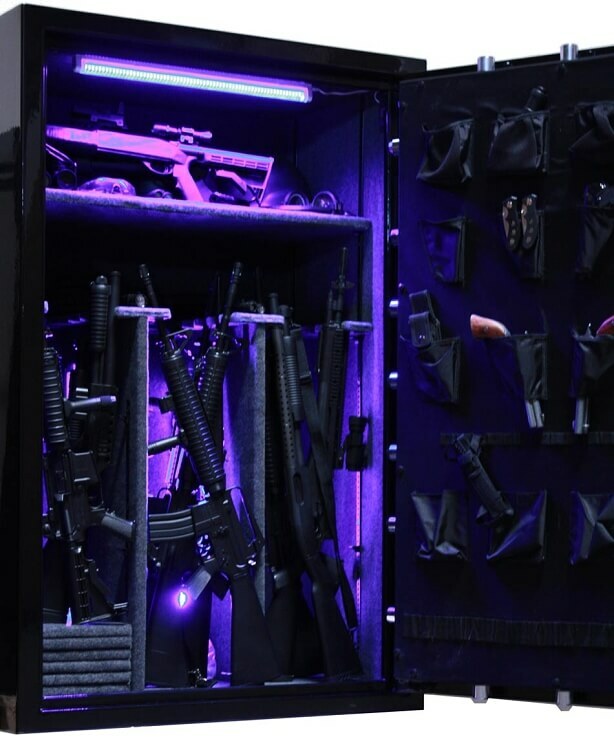 The interior of this Old Glory BR6039 gun safe is bathed in blue tactical LED lighting to preserve its owner’s ability to see in the dark after he grabs his guns during a nighttime emergency.